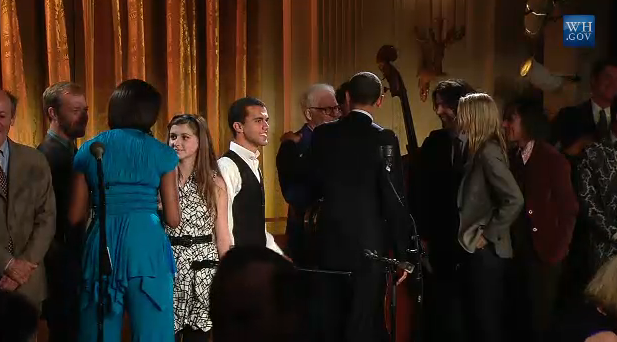 Tonight was a live streaming from the White House. 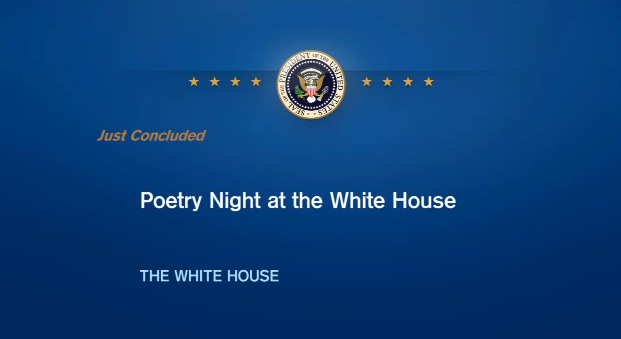 Mrs. Obama hosted a poetry night and earlier in the day, hosted a poetry workshop. 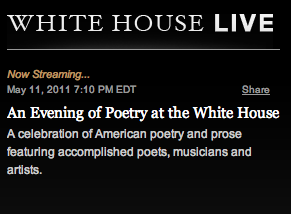 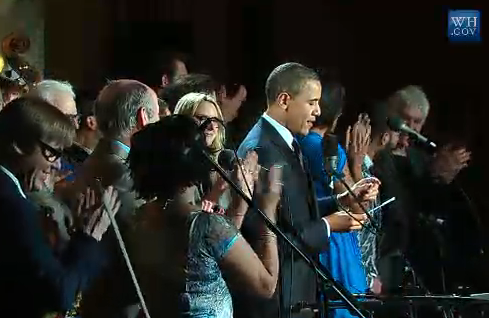 The reading was live streaming from the White House. 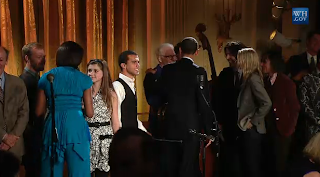 It was an excellent event that had all types of poetry, including musicians and performers. 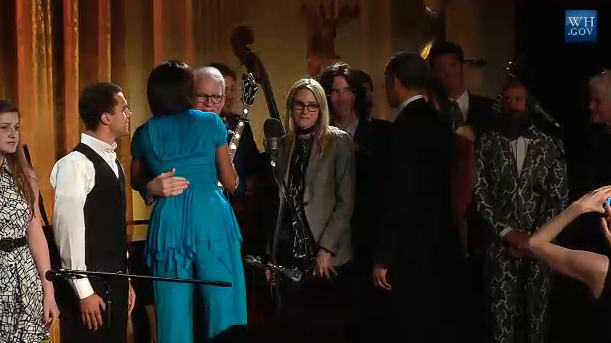 The show ended with Steve Martin and the Steep Canyon Rangers putting music (bluegrass) to an Auden poem. I think my favorite reading tonight was Billy Collins. 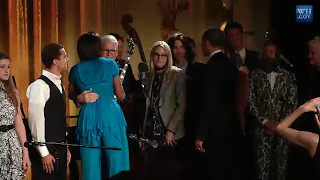 Link for Mrs. Obama's remarks at afternoon poetry workshop.